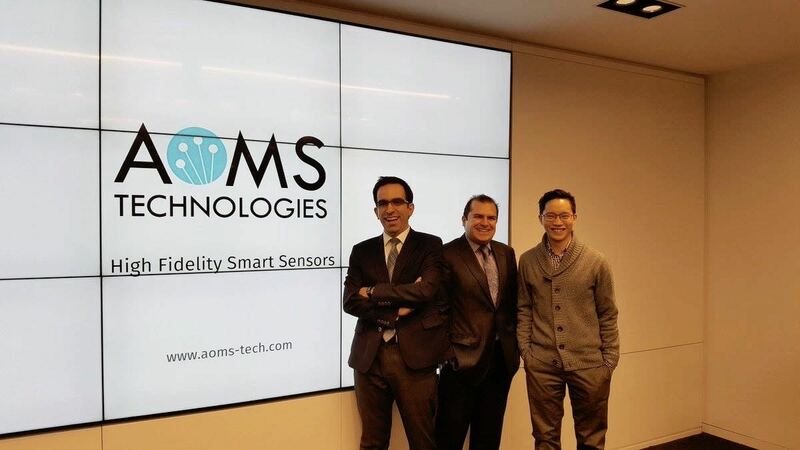 We are proud to share that we are investors in AOMS, an Industrial Internet of Things (IIoT) company delivering an integrated platform that uses fiber optic sensors to help industrial companies collect and analyze data in order to monitor their assets and processes more efficiently. Investment: Series A - This round of financing was co-lead by Brightspark Ventures and GreenSky Capital. Other investors include; EDC, MaRS IAF, Ontario Center of Excellence (OCE). Industrial companies in sectors such as energy, utility, construction, environmental, infrastructure monitoring, and petrochemical rely on the accurate capture of data related to their assets and processes. The data that they collect helps them reduce costs and time-related to their projects, de-risk their operations, and improve processes. This is particularly important to industries operating in harsh, hazardous and high-stress environments – where assets such as concrete infrastructures, pipelines, energy producing and transformation equipment, and processing equipment are vulnerable to degradation and wear-down. To monitor assets today, most industrial companies resort to either manual inspections or the use of conventional electronic based sensors. The issue with these sensors is their fragility and limited performance in extreme conditions – they begin to degrade when exposed to harsh environments or lose performance at high-voltage fields. Because of this, they can result in costly inaccuracies and cannot be re-used for multiple projects. Fiber optic sensors have been proven to accurately capture data and outlast harsh environments, and this technology is being adopted across different industries for a number of sensing applications. The limitation of fiber optic sensors is in the interpretation of the data, and the ability to transform it into meaningful measurements – especially in applications that capture multiple parameters or complex data. Technological limitations aside, the industry also lacks an end-to-end IoT solution that is easy for end-customers to implement – the market is ripe for disruption. The company's founders – Hamid Alemohammad, Amir Azhari, and Richard Liang – met as Waterloo engineers where they specialized in the research and development of next-generation of fiber optic sensor technology. A result of 10 years of R&D, they created a proprietary process that transforms conventional fiber optic cables into distributed sensors capable of reading different parameters such as temperature, pressure, humidity, moisture, vibration, deformation, inclination/tilt, liquid levels, the presence of petrochemicals, and other physical and chemical data – in the harshest environments. The technology works even where conventional sensor technologies fail or cannot be effectively deployed. Today, the platform is being used in Environmental Remediation, Concrete Construction, Asset Performance Monitoring, and Structural Integrity verticals - with a zero failure rate. Our venture team was initially introduced to the company by a fellow Board member of a Brightspark portfolio company. The timing for an investment was not right for us, but we recognized that the team was comprised of absolute domain experts, and we decided to keep close tabs on their progress. When we met with Hamid again in August, we were impressed by his team’s progress and the clarity of their plan. We were intrigued by the targeted verticals that they had identified and the opportunity that they represented. The company had also tripled its sales and was delivering on its promise of an easy-to-use, robust platform that accurately captures the data they need. Our team had been monitoring the Internet of Things (IoT) industry for a long time as a market ripe for investment. After meeting and evaluating multiple potential investment opportunities, we found that AOMS was a timely market-leader with significant advantages over competitors. The company checks many of the boxes of our investment criteria: a qualified management team and their readiness to work with VCs, deep technology with meaningful IP, clear market-leading positioning in the market, recurring sales growth, a market that is spending now with significant growth opportunity, and a clear business strategy. With limited resources, this team has been able to achieve impressive traction in sales, and build a credible brand in the industry. Post investment, AOMS is now focused on managing their high-velocity growth. Like other early-stage companies, they will have to ensure that their product is always on par with their customer’s needs, and avoid the common mistake of focusing solely on sales. As they continue to grow, they will also have to maintain alignment within the company and foster a positive corporate culture. One thing is for sure: it’s an interesting time to be investing in Industrial IoT – we are excited to be along for the ride. Brightspark is one of Canada’s top performing venture capital firms, actively investing in exceptional entrepreneurs since 1999. We provide growth capital and expertise to market-transforming Canadian tech companies in seed to growth stages. We are on a mission to democratize venture capital: we’ve lowered the barriers to entry and let accredited investors invest in the VC asset class alongside us. If you fit the criteria of an accredited investor, you can access investment opportunities like AOMS on our online platform, and get notified when new investments are available. > Do I qualify as an accredited investor? Read the musings of our team and learn about what's happening at Brightspark. We share our thoughts on Venture Capital, startups and everything tech. We also post on Medium - follow us! Create your account to browse Canadian early-stage tech investment opportunities, and participate alongside trusted venture capital investors. At this time, only those who qualify under the accredited investor exemption can view and participate in Brightspark investment opportunities. Read more, and contact your provincial Securities Commission or a lawyer if you are not sure. Brightspark funds are available only to investors who qualify as accredited investors and for whom venture capital investments, which are risky investments, are suitable. The terms of any specific investment in a Brightspark fund shall be governed by the constituent documents of such specific investment. Any decision to invest should be made solely in reliance upon such documents and not relying on any of the information herein. Disclaimer: Past performance is no guarantee of future results. Any historical returns or unrealized returns may not reflect actual future performance. All securities involve risk and may result in loss, and startup investing is particularly risky and may result in total loss. Copyright © 2018 Brightspark, Inc. All rights reserved.